Ever since my spring break visit to Scottsdale, I have been obsessed with the scent of orange blossoms. The orange trees were teeming with their impossibly pungent flowers, and rekindled my passion for its very special perfume. Luckily it didn’t take long to quell my obsession, as I had something awaiting me at home that would satiate my orange blossom needs. I mentioned in an earlier post that Ayala of Ayala Moriel Parfums had treated me to a lovely “thank you” package after staying with me in Portland. Fortuitously, not only did it include the Vetiver Racinettes soap that I reviewed, but also a sample of Zohar, her orange blossom soliflore. The beauty of Ayala’s creations, even her soliflores, is that they are never simple, and Zohar is no exception. There’s no doubt this is an orange blossom fragrance from start to finish, but it has an interesting and beautiful progression that maintains a surprising amount of depth. 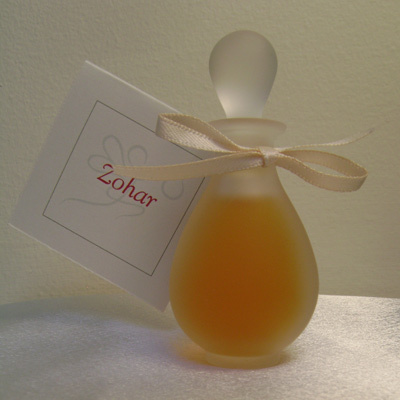 Even Zohar’s opening which is bright and full of citrus clarity is not a zesty blast. The yuzu and petitgrain are more sweet than bitter, allowing for a richness which is a prelude to the ambery nature of things to come. The luminosity of the top notes becomes a little hazy, the buzz of musky honey and the fuzzy legs of bees dance around the trees. Just as Ayala had in mind, Zohar morphs into “an orchard in full bloom.” It’s slightly animalic, with hints of fecund soil and overly ripe fruit. 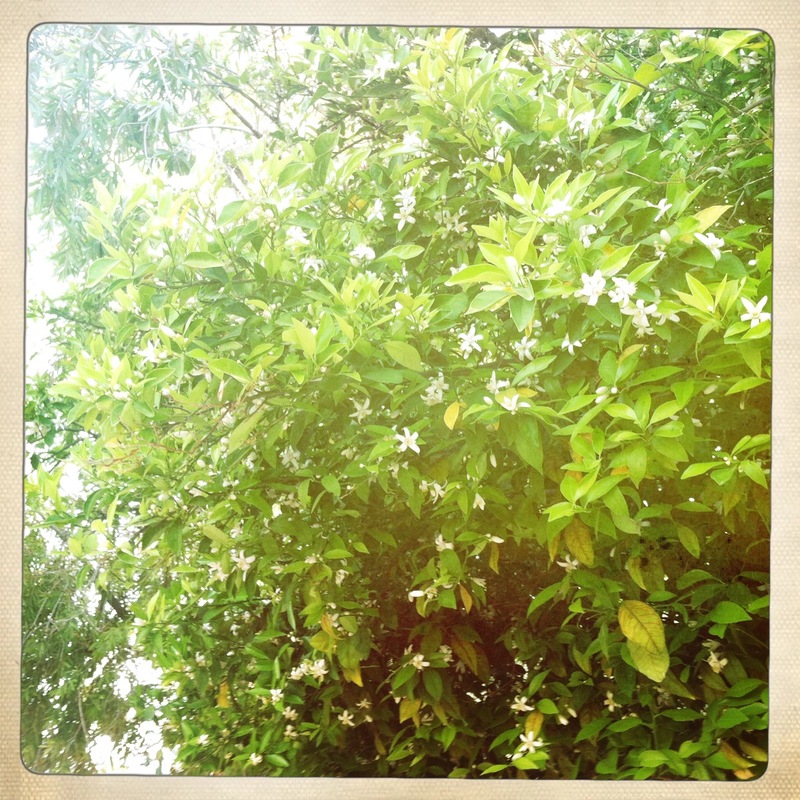 Jasmine and tuberose mingle with the orange blossoms, but do not overpower them. They do their assigned job of enhancement, and are allowed to shine only ever so slightly. Zohar also comes in an Anointing Body Oil, which is just as lovely as the perfume, but slightly different. The body oil plays with the brighter, crisper notes of Zohar and is less about the amber. I am more aware of the petitgrain in the oil, and it exudes a cleaner almost sun-dried laundry quality. It’s a beautiful companion to the perfume, and as to be expected, they meld seamlessly when layered. I love how the oil makes the perfume just a little more crisp, which provides the opportunity to appreciate Zohar from another perspective. Like all off Ayala Moriel Parfums’ products, the Zohar Anointing Oil and Zohar perfumes are 100% all natural. Zohar EDP $48 for 4ml, $120 for 15ml. Body Oil $25 for 15ml. Please see Ayalamoriel.com for more sizes and pricing information. Images: Picture of Orange Tree is mine. Zohar image is courtesy of Ayala Moriel Parfums. Sounds like an absolutely delightful fragrance. I also love the simplicity and elegance of the bottle. I see they have a 1ml sample for $15, I may have to try it out. Thank you for sharing this. I have been obsessed with orange blossom lately as well – Zohar sounds intoxicatingly beautiful! I have been having something of an orange blossom summer, too – which is especially weird because I used not to like it. Now I can’t get enough. I am fortunate to live by an orange grove. It is a wonderful scent. The anointing body oil you mentioned sounds interesting. I think the price is just right. This perfume seems like a great perfume! I would try buying this. Thanks for the review!